In 2016, the six-nation East African Community—whose members are Kenya, Uganda, Rwanda, Burundi, Tanzania and South Sudan—agreed to a ban on imported second-hand clothes and shoes. The embargo was set to start in 2019, but it has sparked economic and political controversy that reflects the complicated relationship developing nations have with the United States and other exporters of second-hand clothing. More recently, under fire from both internal and external forces [meaning US second-hand clothing exporters], the EAC modified its proposal, substituting a phaseout for an outright ban. In African nations, imported second-hand clothing is an economic driver and a big business. Today in Uganda, for example, second-hand garments account for over 80% of all clothing purchases. 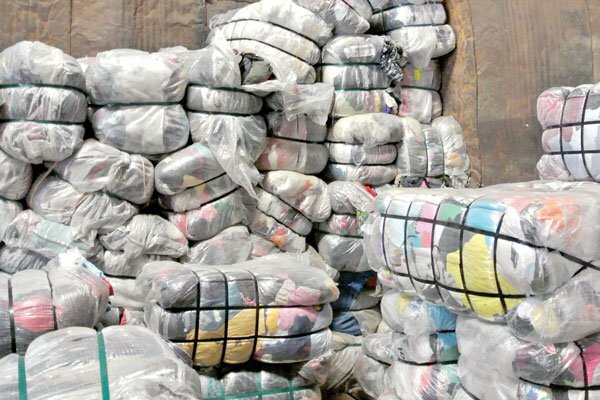 Kenya receives an estimated $4.8 million in import duties annually from second-hand clothing. The huge second-hand clothing market also creates many jobs: clearing agents at ports, truck drivers, cart pullers, loaders, ironing and clothes repair workers, store clerks, and security guards, to name just a few. East Africa imported $151 million of second-hand clothing last year, most of which was collected by charities and recyclers in the UK, Europe and North America. According to Oxfam, more than 70% of the clothes donated globally end up in Africa. In 2015 Kenya for example imported about 18,000 tonnes of clothing from Britain valued at around $42 million. These figures explode the widespread assumption in the US that the shoes, outgrown kids’ clothes and no-longer fashionable dresses dropped off at charity shops are donated to needy people in African countries. In fact, according to one recent report, the US generates 1.4 million tons of used clothing annually, of which only 20 percent is sold domestically in thrift stores. As a result, the US exports 800,000 tons of used clothing annually, a significant portion of which is resold in African markets. One of the biggest used-clothing resellers, is Mid-West Textile Company of Texas, which purchases clothes that were donated to non-profit organizations such as Goodwill Industries. While the used-clothing trade creates jobs and government revenue in African countries, it engenders problems, as well. “n Africa, imported second-hand clothing is known as mitumba. Mitumba is a Swahili term, literally meaning “bundles,” used to refer to plastic-wrapped packages of used clothing donated by people in wealthy countries. The term is also applied to the clothing that arrives in these bundles. One major receiving port for Mitumba is in the Tanzanian city of Dar es Salaam. According to Andrew Brooks (Kings College, London),a debt crisis hit many African economies in the 1980s and 1990s following economic reforms recommended by the World Bank and the IMF. The reforms, amongst other things, opened up local economies to second-hand clothes. In Kenya for example, a garment industry that employed 500,000 people was reduced to only about 20,000 garment workers today. It’s led some academics to argue that old clothing from the U.K. and U.S. was creating a post-colonial economic mess. These issues led the EAC to propose its ban on second-hand clothing imports in 2016. The goal was to revitalize the local clothing manufacturing industry and to create new jobs. One big challenge would be to ensure that the the hundreds of thousands of secondhand clothing workers – like the 65,000 mitumba traders in Kenya – largely in the informal sector, would not be left without work. The ban idea quickly met some very strong resistance. While protecting local textile manufacturers, it was seen as a threat to a multi-billion-shilling group of importers, and they pushed back. And, of course, US exporters of mitumba feel threatened, too. Under the African Growth and Opportunites Act [AGOA] enacted in by Congress in 2000 [and recently extended], East African nations get duty-free access to markets in the US if they meet certain conditions, such as improving the rule of law, human rights, and respect for core labor standards. Apparently, influenced by industry lobbyists seeing the import ban as injurious to textile exporters, the US has threatened to end EAC members’ eligibility for duty-free-market access. …for now, the best approach to phaseout second hand clothes is by supporting local industries instead of banning importation of the clothes once and for all. The phaseout may be helped along by raising import duties on mitumba and by adding taxes on purchases of secondhand clothing, with the effect of making imports more costly in comparison to locally and regionally designed and manufactured clothing. It will be interesting to see howthe EAC nations manage this delicate balancing act. So, we don’t have to stop donating to our neighborhood thrift shops just yet. But we all need to be aware of what happens to our easily discarded fast-food apparel and the effect that our wardrobe profligacy may be having on people in other parts of the world.